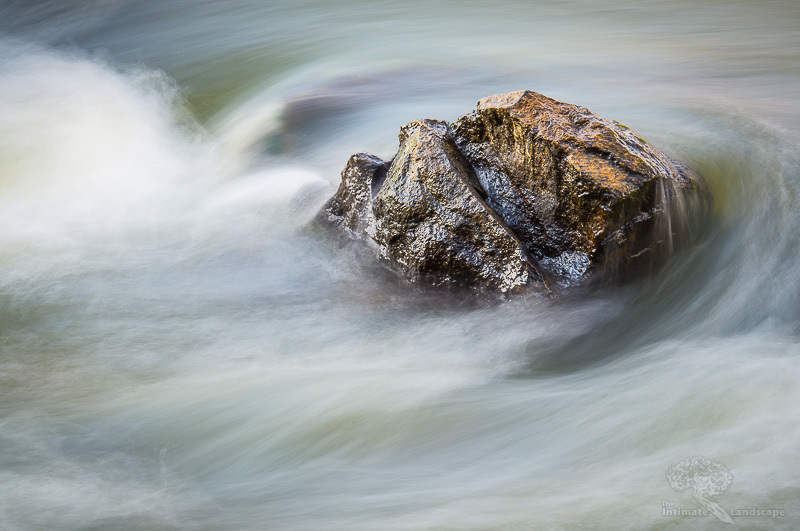 Subtle colors in the rapids of the James River are seen as the waters flow around a boulder. One of the nicest things about living in Richmond, Virginia is the proximity to the James River and the rapids that exist right in the downtown area. When the water is low enough, a number of small boulders appear. There are also colors that can be coaxed out of the water, coming mostly from the rocks barely visible below the swirling waters. Taken with a Nikon D800 and a Nikkor 80-400mm lens. This entry was posted in James River, Landscape Photography and tagged boulder, colors, James River, pipeline, rapids.